Tonight! 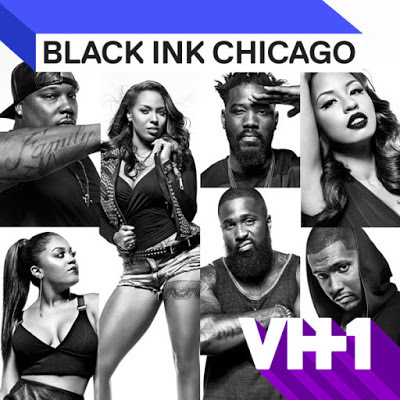 ALL NEW Black Ink Crew: Chicago Season 3 at 8PM on VH1 #BlackInkCrewCHI #BlackInkCHI ~ Phresh Hott New! On today episode of Black Ink Crew: Chicago Season 3, “The Return Of Cobra” Charmaine’s birthday party turns sour when Danielle confronts Ryan. While Ryan heads to Philly for a tattoo convention, Van and Danielle take over the shop. Ryan rehires a former employee. Kat shocks the crew when she unexpectedly shows up in Chicago. Cobra Pops Up On Ryan At The Philly Tattoo Convention….. Look below as after a funny run-in with Black Ink's Ceaser, Ryan is surprised to see Cobra standing in front of him.